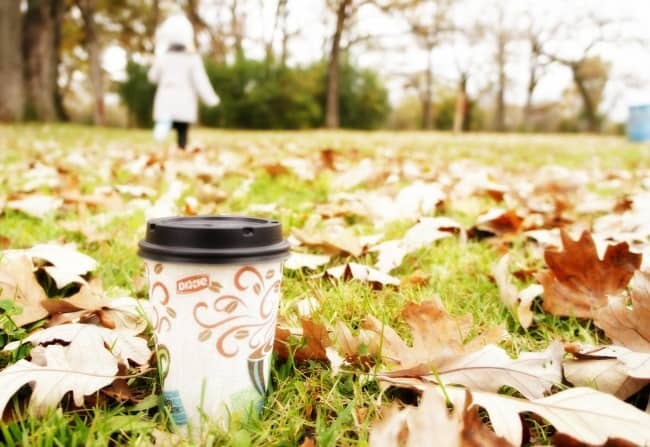 Fall is my favorite time of year, and a warm beverage enjoyed outside among the leaves is absolute perfection. On the top of my to-do list each Fall is a simple walk through the leaves with my family. This may seem small and unimportant to outsiders, but to me this is where memories are made. 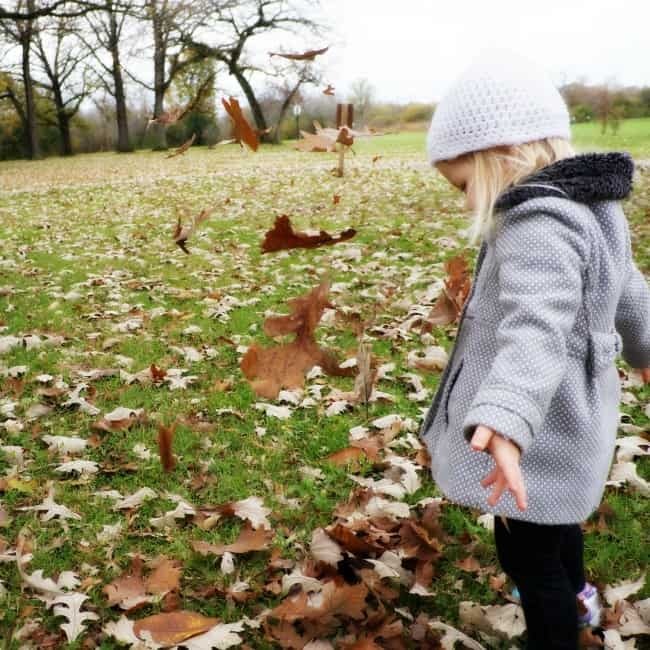 I look back at photos and see my children playing in the leaves with smiles all around, this is what I love and remember about Fall. Taking this simple nature walk with my family is a huge parenting win. 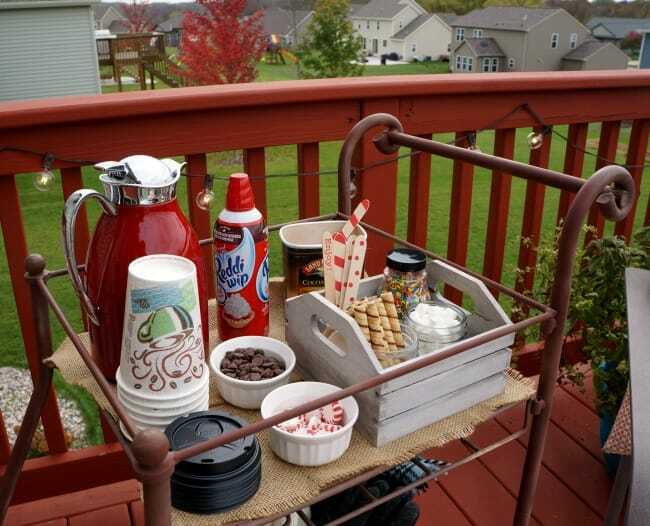 This year I took it up a notch with a fall family beverage bar to compliment our nature walk. We each made our own special hot beverage then set out to walk along our neighborhood trail to take in the sights sounds and beauty of the season. 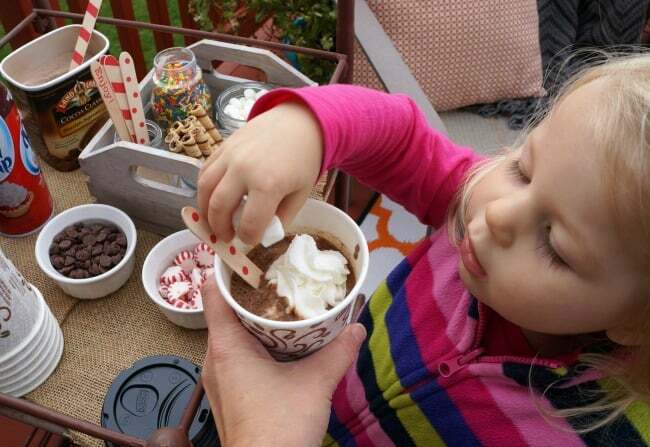 Hot cocoa is the ultimate cool weather treat for my children. Taking it up a notch and letting them create their own cup of hot cocoa awesomeness made me Mom of the year. On top of that, I let them pop on a cover and take their creation in a Dixie® To Go cup just like grown ups. Clearly, it doesn’t take much to impress my kids which made this nature walk all the more special. 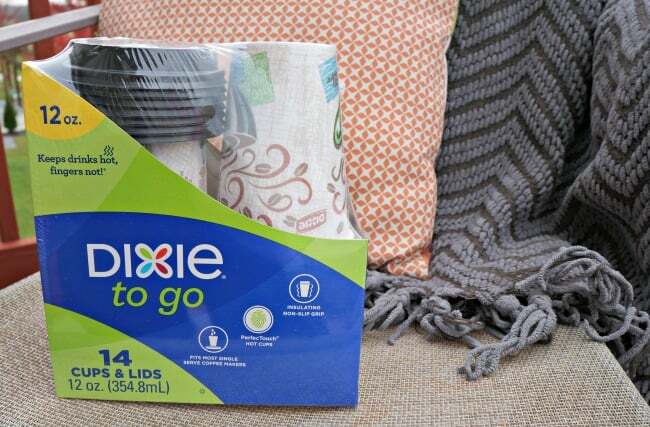 The leak-resistant lid & insulated layer on these cups makes for the best on-the-go experience. 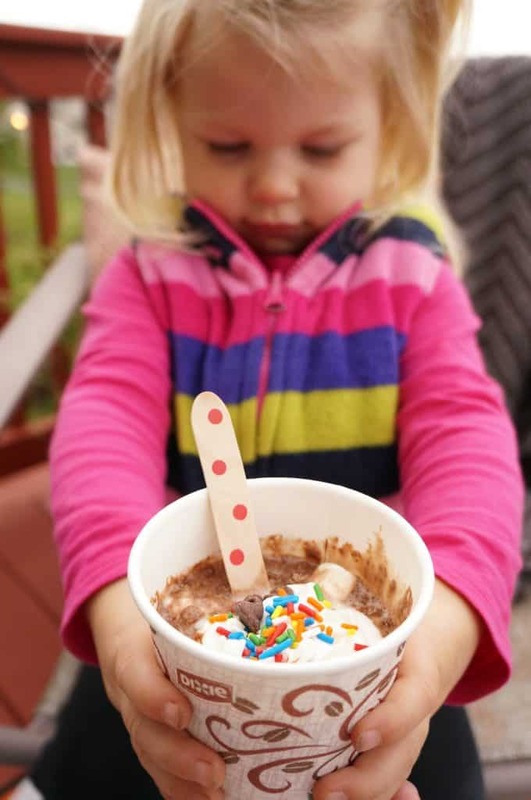 Little hands are comfortable holding a warm beverage and no spills along the way. I used an old bar cart to set up our fall family beverage bar. I set out toppings like marshmallows, chocolate chips, sprinkles, whipped cream and cookies. I also had coffee for the grown ups. 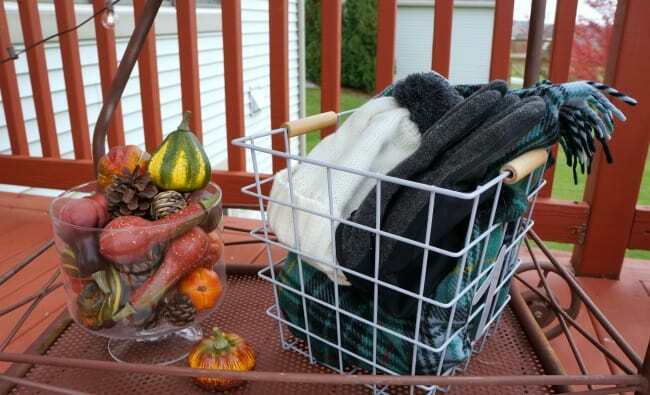 On the lower level of the bar cart, I gathered hats, mittens and blankets to keep us cozy. Dixie® To Go is The Official Cup For Crushing It. With no washing or cleanup involved, it’s one less thing to worry about, which can help you “crush” the things that matter, like making awesome fall memories. Watching my littlest one play in the leaves and answering endless questions from my Kindergartener about nature was a blast. Seriously, I don’t think fall can get any better than this. 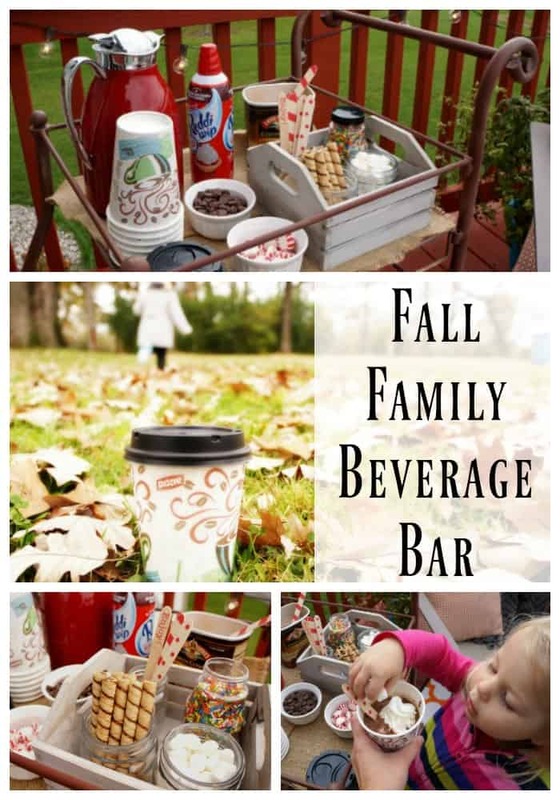 This Fall family beverage bar has officially become a new tradition, the family is already asking to do it again this weekend. I’m definitely not opposed, I’m all for family time and yummy drinks. Tell me your latest parenting win. How are you (yes you, awesome Mom reading this post) crushing it this week?